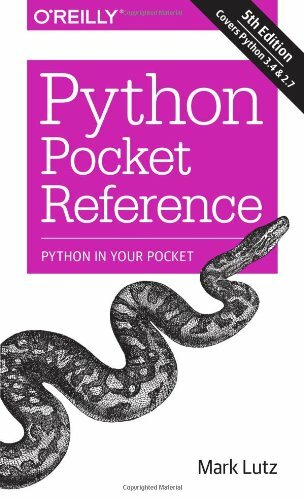 Updated for both Python 3.4 and 2.7, this convenient pocket guide is the perfect on-the-job quick reference. You’ll find concise, need-to-know information on Python types and statements, special method names, built-in functions and exceptions, commonly used standard library modules, and other prominent Python tools. The handy index lets you pinpoint exactly what you need. Written by Mark Lutz—widely recognized as the world’s leading Python trainer—Python Pocket Reference is an ideal companion to O’Reilly’s classic Python tutorials, Learning Python and Programming Python, also written by Mark.